Ovarian cancer tied to fertility treatments: Cause for alarm? (CBS) Many families turn to in-vitro fertilization for help conceiving a child. A concerning new study suggests women who undergo IVF treatments face twice the usual risk for developing ovarian cancer. The study authors say drugs used for stimulating the ovaries to produce eggs may explain the increased risk. "Our data clearly show that ovarian stimulation for IVF is associated with an increased risk of borderline ovarian tumours and this risk remains elevated up to more than 15 year after the first cycle of treatment," study author Professor Flora van Leeuwen, head of the department of epidemiology at The Netherlands Cancer Institute, Amsterdam, said in a written statement. For the 15-year study - published in the journal, Human Reproduction - Dutch researchers tracked more than 19,000 infertile women who underwent ovary stimulation prior to IVF, and compared them with 6,000 women who didn't have IVF. Sixty-one women in the IVF group had ovarian tumors - 31 were considered "borderline ovarian cancer" and 30 had invasive cancer. The number of borderline tumors was "unusually high," van Leeuwen said. Borderline ovarian tumors are not fatal and may never become malignant, but they usually require surgery. For ovarian tumors overall and for borderline ovarian cancer, there was a two- to four-fold higher risk -respectively - in the IVF treatment group compared with the group not treated with IVF. 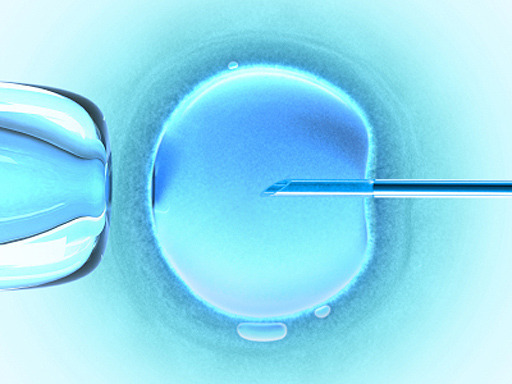 What does the study mean for women who have undergone IVF - and those who are considering it? "The main message is that women who have had IVF shouldn't be alarmed, study co-author Professor Curt Burger, told BBC News." The incidence of ovarian cancer was extremely low." The study found the risk for developing an ovarian tumor among the Dutch population was only 0.71 percent. The study authors say more research is needed to see if other factors are at play, or to see if the risk increases more after 15 years. Ovarian cancer kills more than 15,000 Americans a year, and strikes another 22,000. Worldwide, more than 140,000 women died from the disease in 2008. WebMD has more on ovarian cancer.